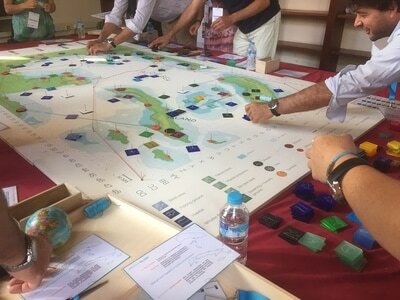 MaPSIS Conf. 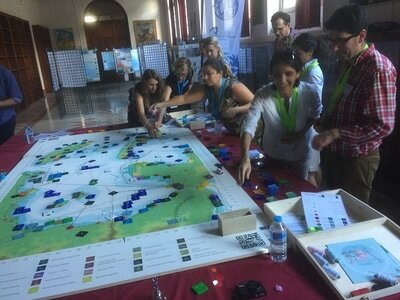 Gran Canaria, 25 Apr '17 - Meet the Challenge! 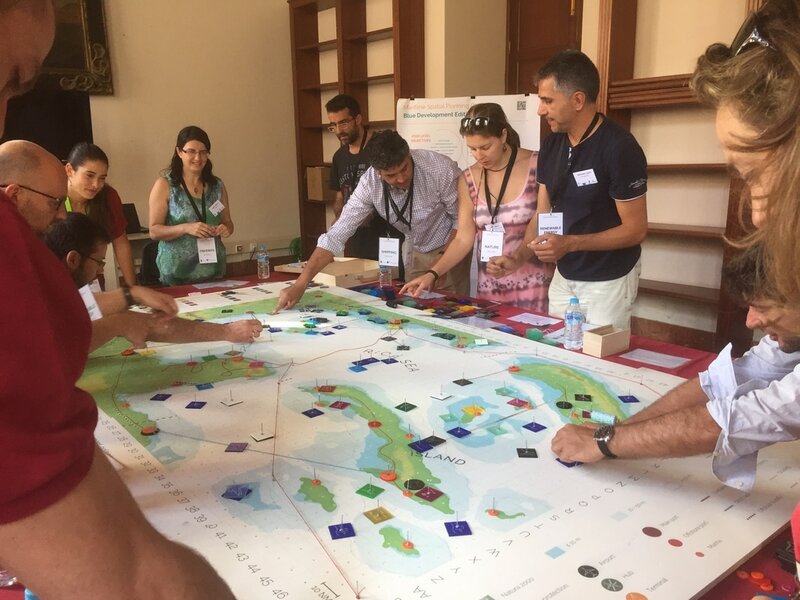 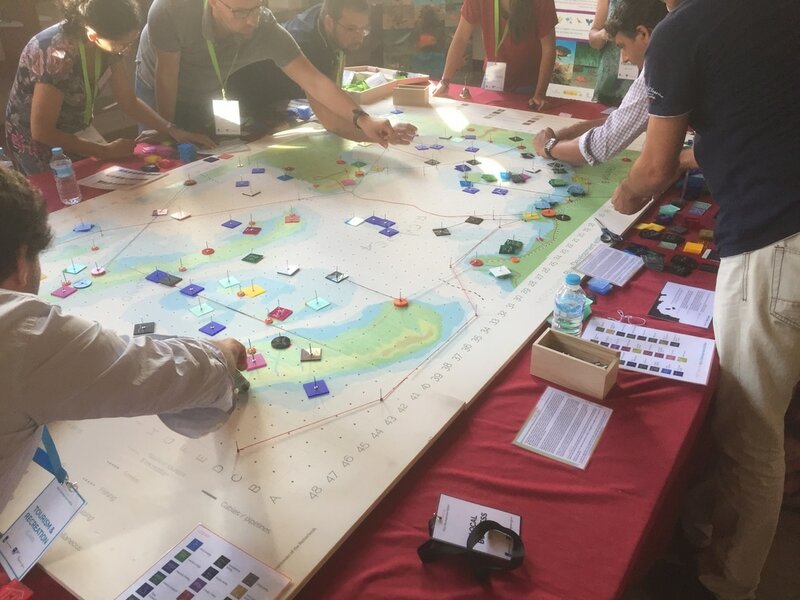 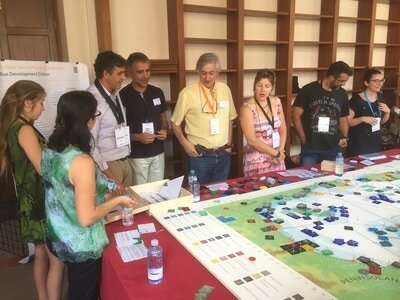 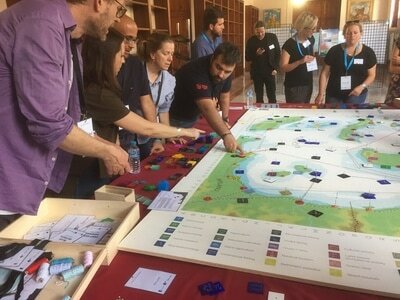 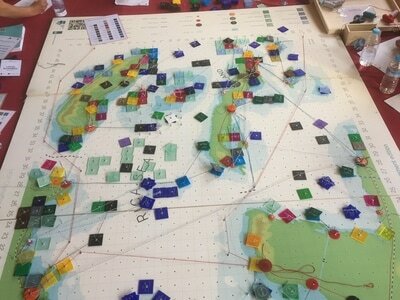 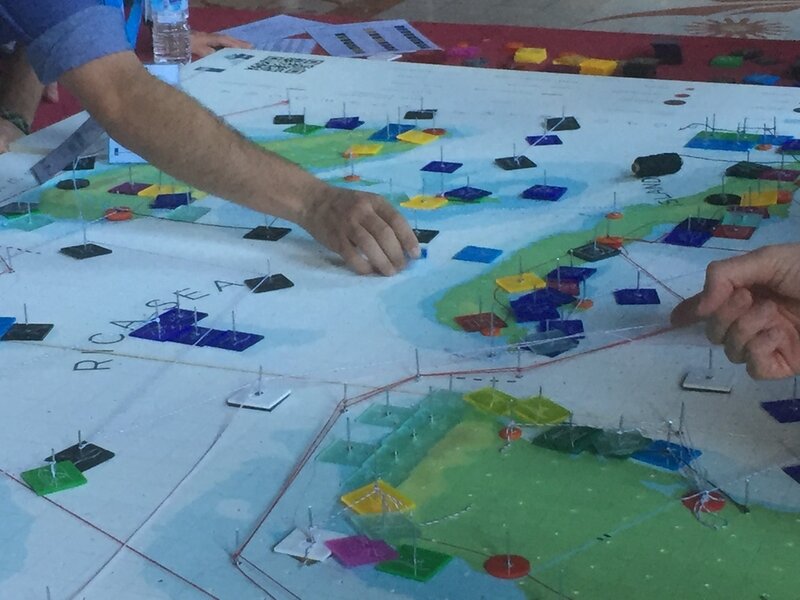 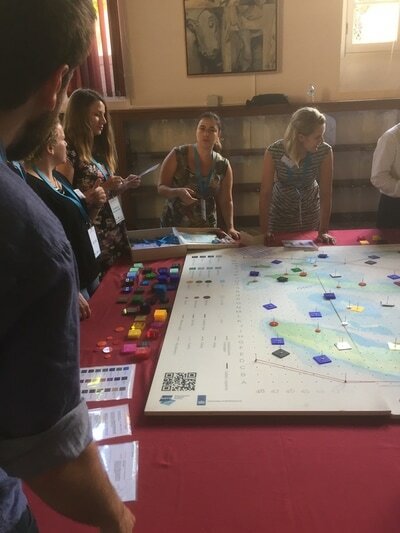 MSP Challenge Blue Development Edition was used by participants of the MaPSIS conference to play around with information and exchange of evidence on the economic and ecological systems for coherent planning. 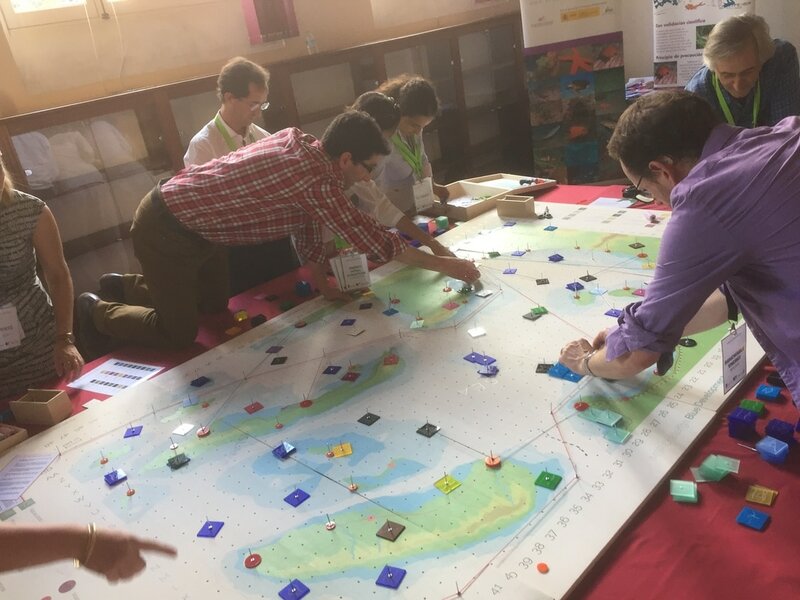 2 game sessions have been played at the end of the conference, challenging the players to bring insights from the conference into the serious gaming environment. To practice what's been preached. The EcoAqua MaPSIS conference was held from the 24th to 28th of April, 2017 in Las Palmas de Gran Canaria, Spain. 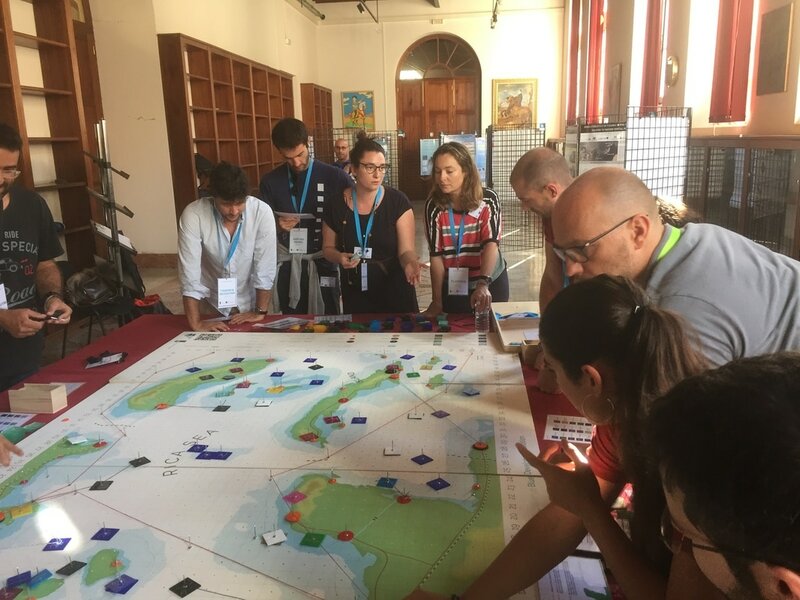 This meeting brought together professionals, students, policy & decision makers, researchers and other stakeholders to discuss the latest in ocean and marine protection and development. Methodologies, best practices and finally integrated maritime issues within environmental planning using open data infrastructures. 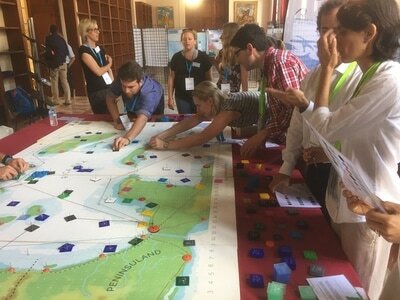 Key words: Maritime spatial planning, Blue Growth, Environmental planning, Biodiversity preservation and Supporting information systems.